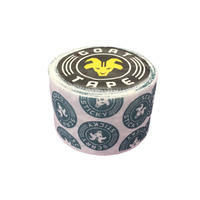 Representative product of goat tape "" Scary Sticky is the world's first athletic tape designed with CrossFitters in mind. 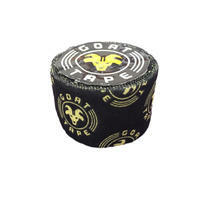 In the sticky type with hold power, it is made as a unique adhesive that provides protection and support through the most solid training. Scary Sticky is formulated mainly for wrist, thumb and finger taping for the Olympic weightlifting operation during training. Movie: How to roll it. https://www.youtube.com/watch?v=HzmQYAhfFlw Width: 38 mm Design: White & USA Lifting ※ Some photos may differ slightly from the actual, please understand.